1) Take the 10" length of beading wire and thread on one of the Crimp Tubes and bar half of the Toggle Clasp. Take the wire around and back down through the Crimp Tube. Pull so that the crimp cinches close to the connector loop of the Toggle Clasp. Crimp the tube shut with your Crimping Pliers and cut the excess wire tail off with your Side Cutters. Use the first indent of your Crimping Pliers to close a Crimp Cover over the crimped tube. 2) Thread two of the Round Brass Beads onto the wire. 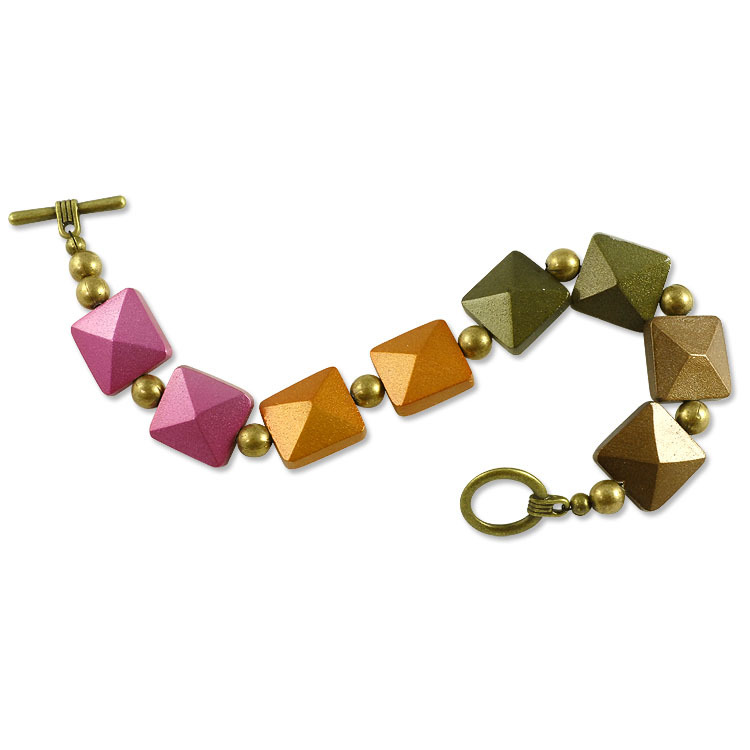 The pattern for this bracelet is: both Raspberry Square Beads, both Rust Square Beads, both Potting Soil Square Beads, and both Mustang Square Beads with a Round Brass Bead inbetween each of these. 3) Thread the last Round Brass Bead onto the wire, followed by the last Crimp Tube and the circle half of the Toggle Clasp. 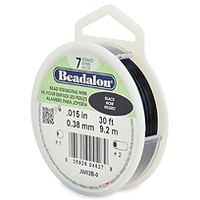 Take the wire around and back down through the Crimp Tube and the last Round Brass Bead. Pull so that the Crimp Tube cinches close to the loop on the Toggle Clasp. Crimp the tube shut with your Crimping Pliers and cut the excess wire tail with your Side Cutters. 4) Use the first indent of your Crimping Pliers to close the last Crimp Cover over the crimped tube. Done!! I absolutely love the colors chosen for this bracelet, and I imagine it could inspire future projects.